Home » Garden Tools » Worx Aerocart Wheelbarrow Review – Is It The Best Cart To Invest For? 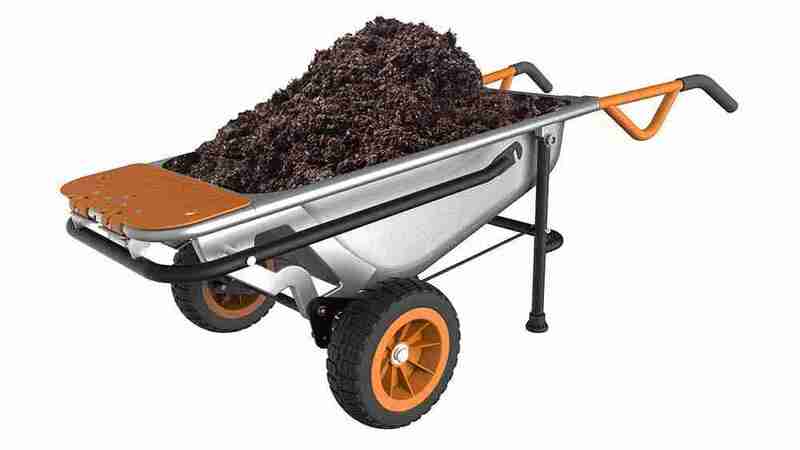 Like any other wheelbarrow, the Worx Aerocart wheelbarrow is made for carrying garden goods. So why would anyone but this one specifically? Only because its infomercials appears on TV every other five min during different shows? No, not really. In this Worx Aerocart Wheelbarrow review article, we are going to talk about all the features, work-ability, good and bad sides of the product. So, as a consumer and our valuable reader you could get the info you need to decide either this wheelbarrow best for your energy, time, and money or not. What this wheelbarrow made of? Is the wheelbarrow rust and scratchproof? First of all this cart is made in China. But that does not mean its lack of quality. Infect your doubts will vanish once you inspect and use the yard-cart in real. The steel quality and construction are overall very satisfying. The body of the wheelbarrow is solid. The joints and screws are well fitted and never lose its strength upon heavyweight. However, we still found some downside like the color quality of the cart. The paint on the cart is not that durable. It will chip out over time. This best wheelbarrow from Worx has a high loading capacity comparison to another yard cart. The entire cart can hold up to 300 lbs at a time. Although, the tub capacity is around three cubic ft. you can quickly load on things like wood, rocks, bricks, dirt or anything you want. The yard cart is more convenient because of its design. It weighs about 48 lbs, but when you load different things on it. The cart does not feel that heavy during the push. A full 250 lbs cart feels like 17 lbs. So, you can move things multiple times with the cart without getting tired. That will be lighter for your joints and back especially. But remember it’s an average size cart. Usually, regular carts have six cubic ft. tub capacity and are a bit larger in height. That is why it most suited for the average height of people. If you are a person more than 5.8” you will feel discomfort with it while pushing. The thing a user will like most about this Aerocart wheelbarrow is its high adaptability. You can use it with yard cart along with dolly. Also, its extension arms could be usable carry accessories like, mulch bag, flower pot, watering can, straw bales, and so on. As per the manufacturer’s statements, the attachments and accessories allow the wheelbarrow to work as eight carts. So you can use it like a hand truck, cylinder holder, potted plant mover, rock lifter, bag holder, wheelbarrow and the addition dolly. Some other things that we want to mention are like the assembling and tires. The cart includes two tires and very great at stable the Aerocart. They keep the cart stable and upright even with the uneven organization of goods. Another hand the aircraft need to the assembly at home. You need to attach two wheels with the main body. Other things are connected to the body from the factory. Handle- two handles with firm rubber grips. Usable as a dolly, flower pot mover, trailer mover, cylinder carrier, bag holder. Accessories- Flower pot strap, bag holder, mesh rock mover, cylinder holder. Dolly load capacity- 300 lbs. Product dimension- 42 x 12 x 18 inches. Very versatile, can carry well in many ways. Included dual wheels offer extra stability. Accessible to converts in dolly and others. The tub of the wheelbarrow is quite small. Not so comfortable for tall-height of users. Solid tires make the pushing the wheelbarrow somewhat tricky. 3 inches across and 10 inches in diameter. This wheelbarrow is ideal for places where space storage is short. 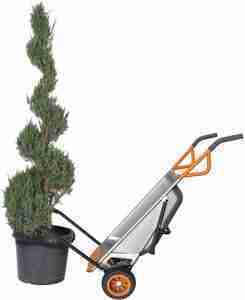 Its easy fordable choice let you squeeze in an area where you can’t fit the regular size of a wheelbarrow. With high load capacity, multipurpose usage- this product is an efficient option for loading different things. However, this one has some of the other facility offered from the manufacturer. You get 60 days of money back guaranty and three years of warranty with this product. But conditions apply. This is the Worx Aerocart Wheelbarrow Review. If you want to purchase this for your garden make sure you read the condition clause carefully. 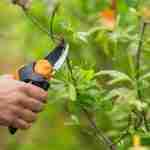 Overall, it’s good garden tool for short to an average height of people.